Ah, one of my favorite questions, and I’ll try to keep my answer as focused as possible. 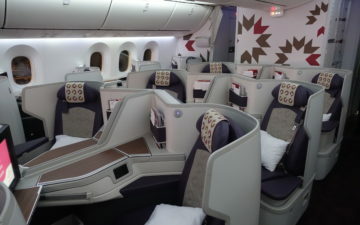 I consider myself to be a bit of an expert on awards, especially international premium awards, as I really enjoy using my miles to the fullest extent possible. The short answer to this question is that the best use of miles is whatever makes you feel like you got a good deal. Of course that answer doesn’t help anyone, but it’s nonetheless important. We all have different uses for our miles due to various factors, which is great since availability for the types of awards I like would be next to zero if everyone else wanted them too! My real answer below is totally based on an ideal world, as I am guilty of redeeming miles for a domestic award once in a while too! Hey, sometimes it’s a great deal (for example when a domestic fare is $1,000 and available as a saver award for 25,000 miles), but I try to avoid it in general. Where do I want to go, and most importantly is it a good deal on miles? For example, fares to Singapore could be pretty good and upgradeable, which it might not be a good idea to use miles for. At the same time fares to places like Bali, Queenstown, Sydney, etc, might be very expensive. So in addition to figuring out where you want to go, it’s also important to evaluate if it’s a destination that it makes sense to use miles on. What’s the availability like? This can almost immediately be a deal breaker. As I posted about last month, Air New Zealand has virtually zeroed out their award inventory in BusinessPremier to New Zealand from North America, so even though I’d love to go there, my miles wont get me there, at least for now! Of course I have the option of taking UA to SYD, which can be very hard to find, and then backtracking, but it’ll probably still be a challenge to get a full itinerary that works. Pick a carrier you really want to try. This is often a tie breaker for me when I can’t decide on a destination. For example, let’s say I want to see two cities, one which only has First Class available on United and one which only has First Class available on Singapore Airlines. I would probably end up going with Singapore Airlines even if the destination is slightly less interesting for the superior in-flight experience. There’s simply something special about SQ, regardless of how often I fly them, and I go out of my way to take them whenever possible. Take full advantage of your free stopover! 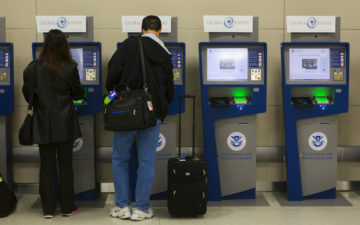 This is something most revenue fares don’t allow without a surcharge, and something that can make award tickets truly more valuable than revenue tickets. For example, in my recent awards I have had a stopover in AKL from which I visited many of the major cities in NZ and then continued on the same award to SYD. Similarly I’ve done awards with stopovers all over the place, including an award ticket to BKK with a stopover in ICN, an award to SIN with a stopover in BKK, an award to VCE with a stopover in FRA, etc. As much as we complain about the international call centers, they can be a blessing when it comes to awards. Some of them aren’t very well trained geographically or with the rules of an award, and will often allow routings which otherwise wouldn’t be allowed. For example UA charges 90,000 miles for an award from North America to SE Asia via the Pacific, but I managed to get EWR-DUS-ZRH-SIN-NRT-SIN-ZRH-FRA-EWR all in business, including the new SQ Business, for only 90,000 miles. A US agent would have picked up on that in a heartbeat. I really love flying airlines that represent various cultures. I truly believe that airlines tell you so much about the culture of a country as a whole, and serve as a great introduction. Heck, the distinctive service styles of Asiana, ANA, Thai, and Singapore alone are amazing, and that’s only addressing a very small portion of the world. An airline says a lot about a culture, so try out as many carriers as you can, IMO! One of my favorite 1K benefits is the ability to make changes to awards without a fee. Being the perfectionist I am when it comes to awards, it’s not rare for me to make a dozen changes on an award ticket as the date of the trip gets closer and availability gets better. This benefit just allows so much flexibility as far as awards go, something which is vital to me in this era of limited award availability. Hmm, that’s all I can think of for now but I’m sure I’ll come up with more later. If I do I’ll be sure to add it to this post. So I guess that makes the SparkNotes version of my answer to use miles for premium cabin travel on foreign airlines to a place you want to visit. Thanks for an informative and prompt reply. So for my next trip, I am going to find an exotic location (maybe BoraBora), premium cabin travel on a foreign airline like Singapore. I need to go read up of how to use UA miles on other * alliance airlines. In the mean time, I decided to use some of my accumulated miles to bring my family to PVG, 4 economy tickets @ 60K miles for saver awards. I was also lucky to get it upgraded to C class using (8) SWUs. Please update this post when you think of more ideas and recommendation, thanks again.